Looking through the my past nail designs, I realised that I haven’t done something really punk and hip nails. Neon colour is popular this summer but I want something punk too, so I decided to have Neon Yellow with the combination of Black for my nails. 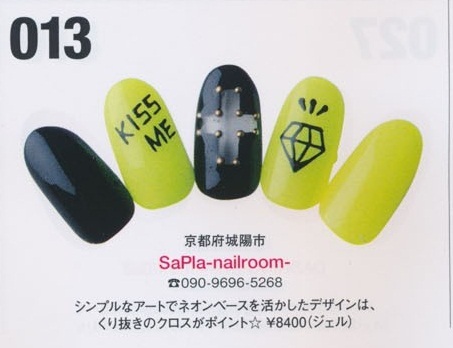 In his month Nail Venus Magazine and saw a design which match on something I want. Mal at work, she did some minor changes on the design. As nails are too small, so she changed the cross design to my thumbs. 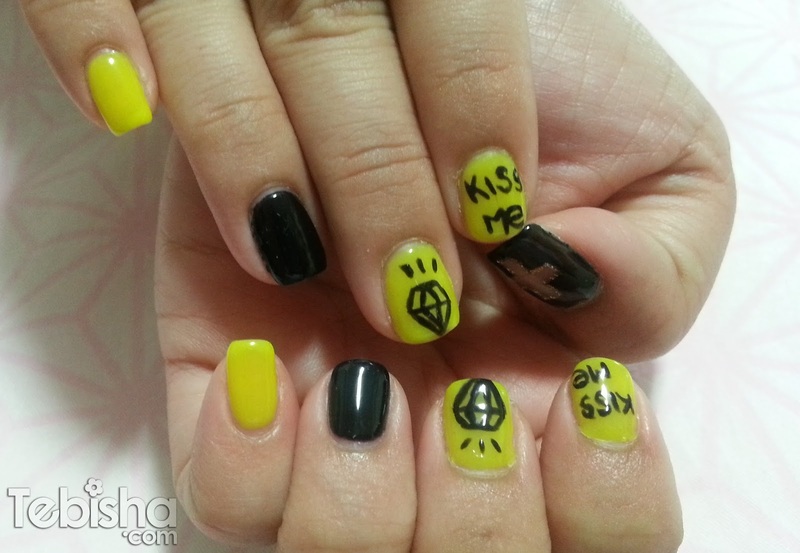 Diamonds and “Kiss Me” wordings are all hand drawn, really love the detailedness. Thanks Mal for the flexibility, she will try her best to do up the every designs, I requested. Never fail to disappoint me. 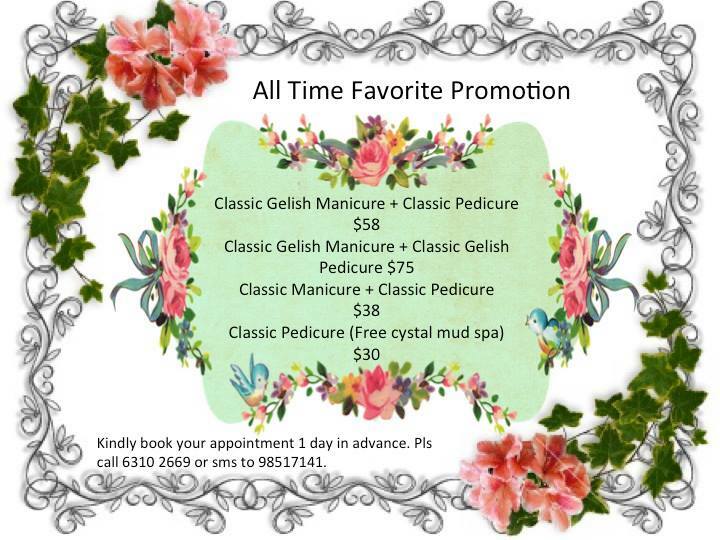 A goodway to thank the support of all GardeNails customers. 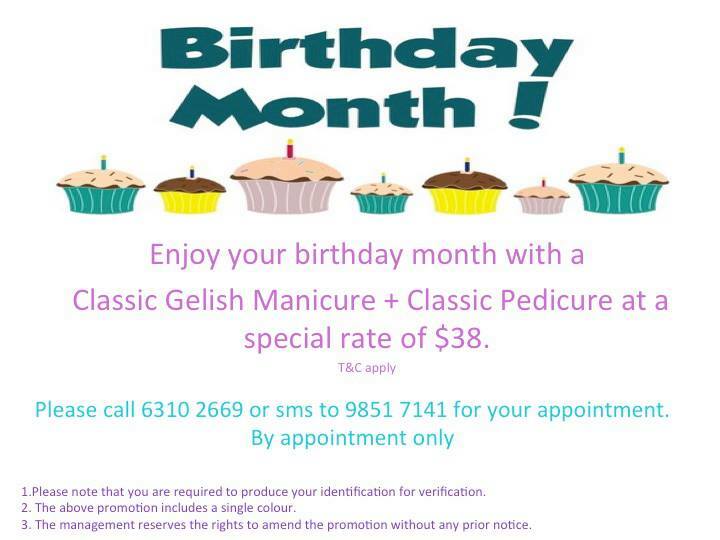 GardeNail is having a Birthday Month Promotion! If your birthday falls on the month itself, you are eligible to enjoy this special rate. If you not not eligible for the Birthday Month Promo, No worries! 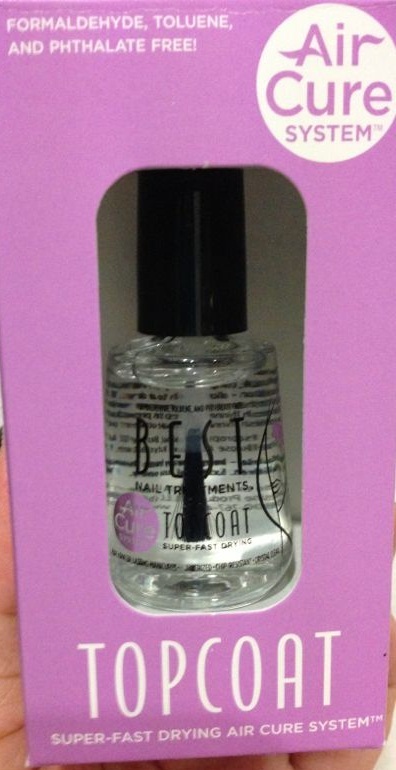 All Time Favorite Promo is still available! Not forgetting my readers, there’s a special treats for you!